If you are like me, a little lunch break for this insect (on you) can send you scratching and wanting to rip at your skin for days. Hopefully, you are not as allergic as I am (see my pictures below) and may find some of the following tips useful in alleviating the itching and discomfort associated with mosquito bites! 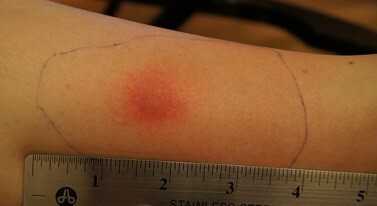 Apply cool compresses to the mosquito bite areas can soothe and lessen the intensity of the itch. Cool gel packs off and on for a few minutes can help! Or even through the use of a washcloth with cold water for 5 minutes will do….Ice cubes with whole milk can help also....Just don’t get an ice burn! Applying over the counter hydrocortisone or antihistamine creams can also lessen the intensity of the itch. If you have a mosquito bite area that starts to weep, try the antihistamine as a spray as it helps to dry the affected area. (FYI, never apply cortisone over open skin or an open wound as it will slow healing and never apply spray over an open wound, the alcohol content will sting like mad!) With children, it is always recommended to consult with your pediatrician prior to use of any product or treatment. For open wounds related to scratching, try over the counter anti-infectives such as Neosporin or Bacitracin to help prevent secondary infection. If you’re still suffering after trying the above, call your dermatologist. Get the okay to take an over the counter antihistamine and maybe get a prescription strength spray or cream. Your dermatologist may recommend that you go in for a visit. Sometimes we are just so allergic to these darn bugs that we need a little stronger help! 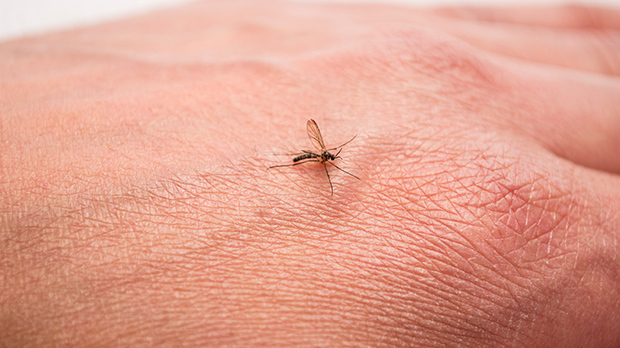 At any point after your mosquito bite, if you do not feel well, you should seek medical attention immediately. Some people are severely allergic to bites where their respiratory system is affected and airways start to close. This is a medical emergency. You should call 911 or your emergency help line immediately! In some instances, illnesses can be transmitted through the bites of these insects, so again contacting your medical provider is a good idea if you are not feeling well after being bitten. Above my left lower ankle. Below the inside of my right wrist.